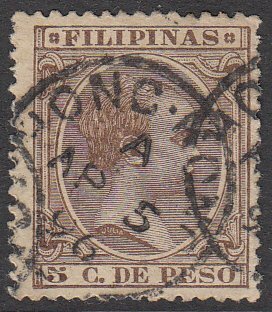 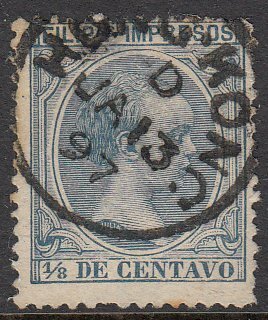 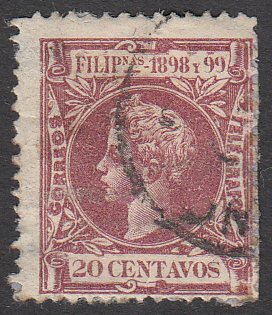 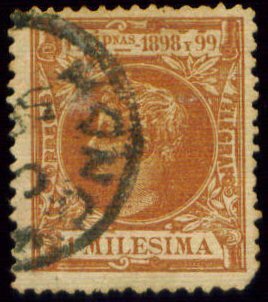 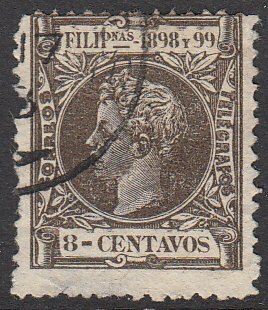 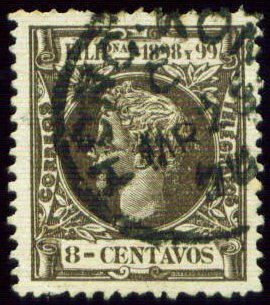 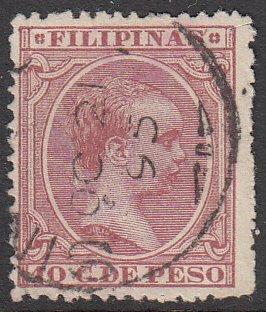 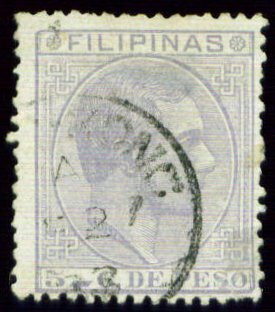 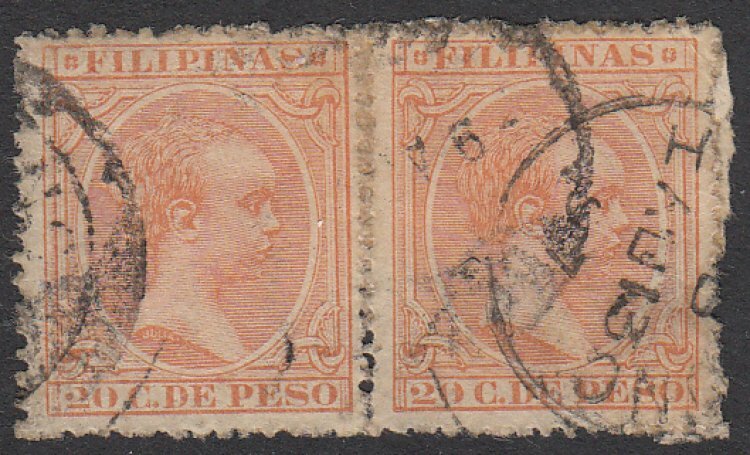 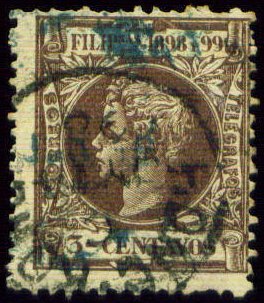 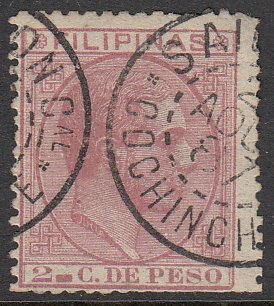 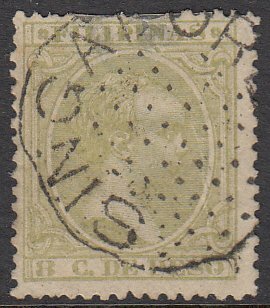 Prior to 1877, Spanish-Philippine stamps were not accepted for payment of mail to foreign countries other than to Spain and her colonies. 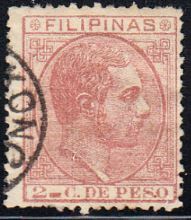 During this period, most covers from the Philippines to countries outside the Spanish empire bore the stamps of British Asian colonies (Hong Kong, India and Straits Settlement). 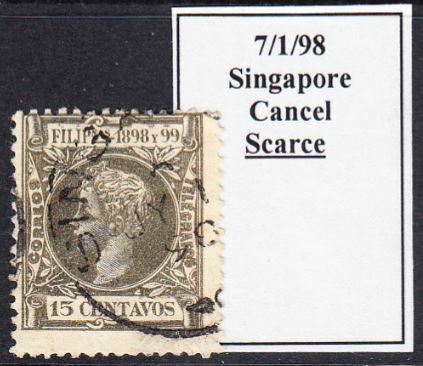 In all cases, the stamps were cancelled in either Hong Kong or Singapore. 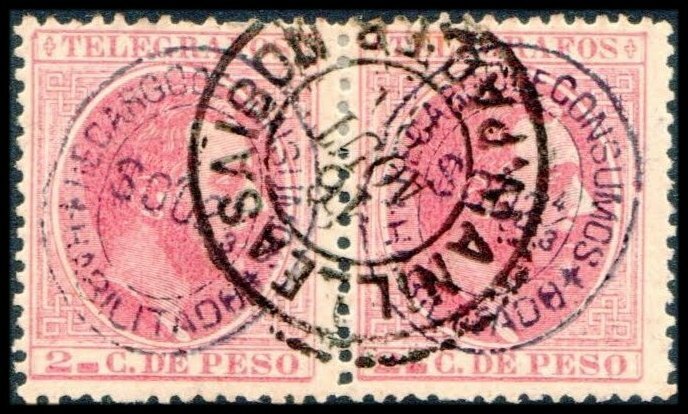 Establishment of the General Postal Union transformed the postal world in 1874. 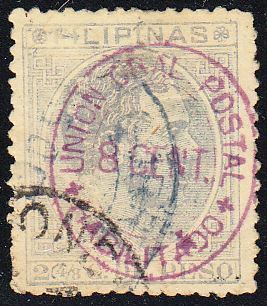 Renamed the Universal Postal Union (UPU) in 1878, it provided uniform postal procedures for transmitting international mail among its member nations. 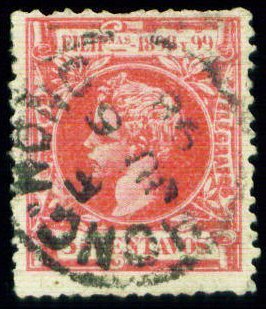 In Spain, the new treaty rates and procedures were promulgated on January 1, 1876. 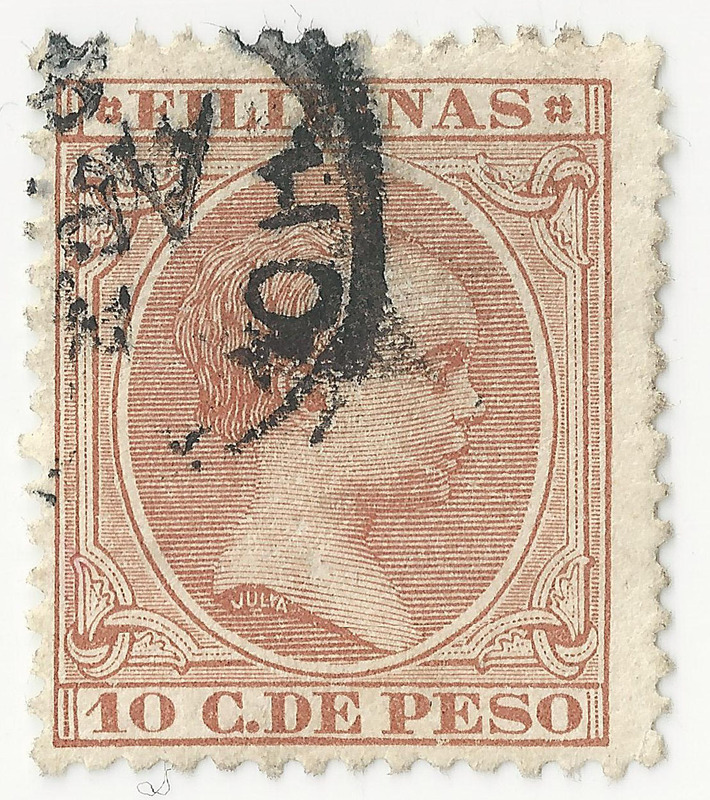 Inclusion in the UPU and subsequent changes in rates and procedures were not immediately applicable to the colonies. 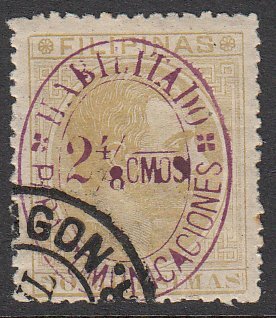 Each colony was allowed to join the UPU independently. 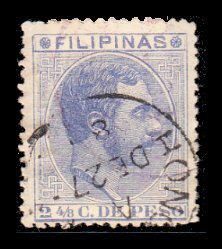 On May 1, 1877, the Philippines joined the UPU. 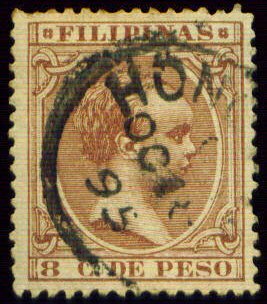 For reasons unknown, the UPU rate and procedural changes were not fully implemented in the Philippines until September 1, 1879. 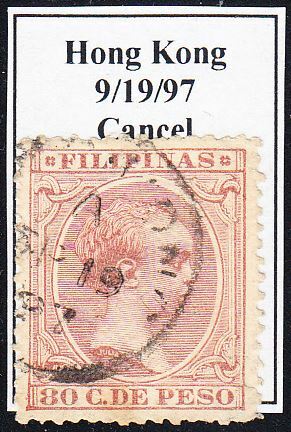 From that time, Philippine stamps became valid for postage to all member countries, allowing other countries to accept mail bearing Philippine stamps. 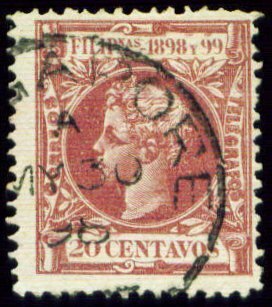 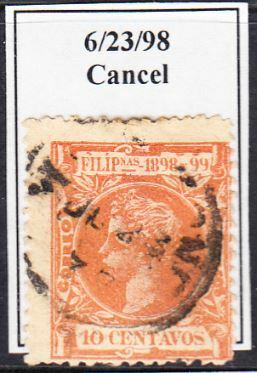 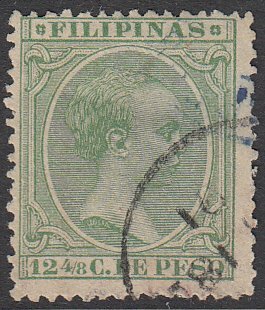 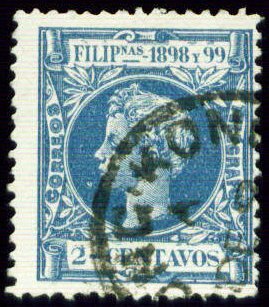 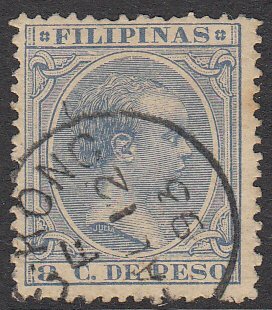 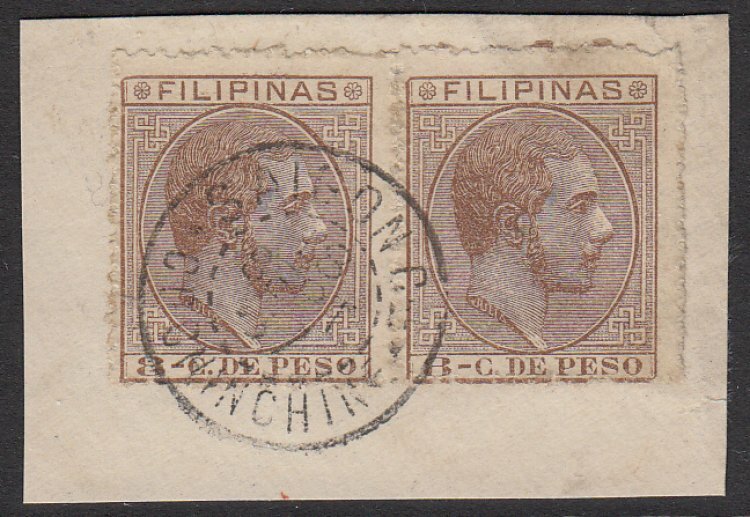 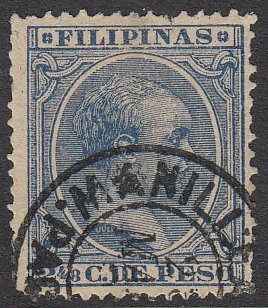 Despite Philippines’ inclusion in the UPU, a few Philippine stamps from the 1880’s to 1898 are known cancelled with non-Philippine postmarks. 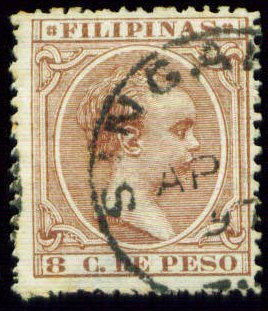 An important concept with covers from the Philippines was the UPU requirement to have sufficient postage at the country of origin. 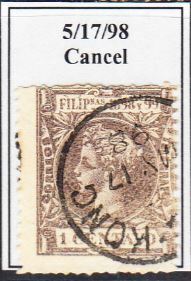 Whether it was first cancelled in Manila or a foreign port (Hong Kong, Saigon or Singapore), it made little difference, as long as it was cancelled so the letter could get into the overseas mail. 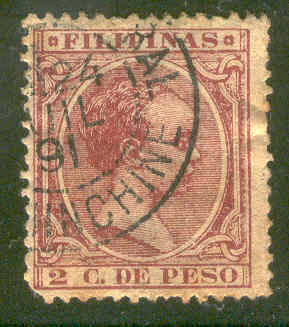 The Hong Kong, Saigon and Singapore Post Offices readily obliged. 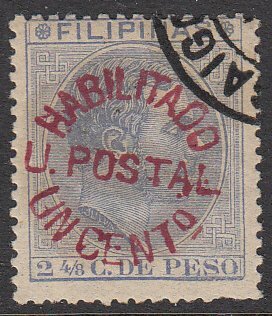 Apparently, some foreign businesses in Manila routinely had their mail carried outside the Philippine Post (delivered directly to outgoing non-Spanish ships). 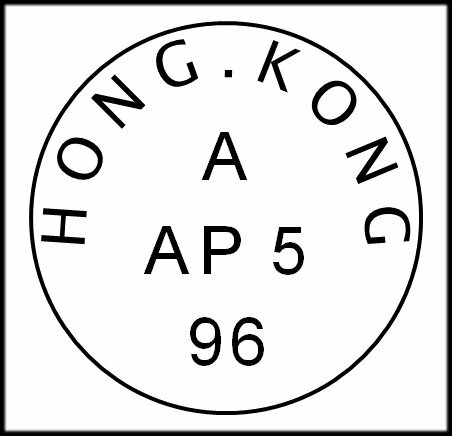 While most of these ships (British, American, German, etc.) 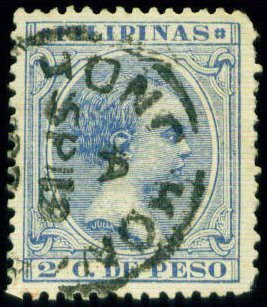 from Manila went to Hong Kong, there are records where the letters went first to Saigon or Singapore. 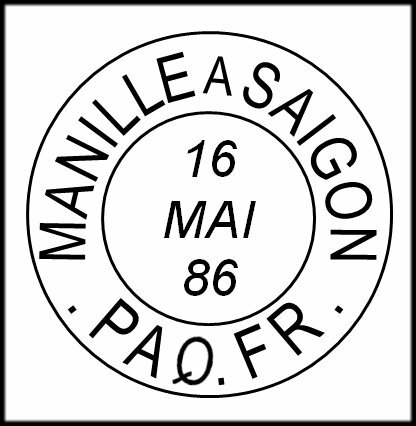 In the case of Saigon (or occasionally Singapore), this was usually carried via a private French ship out of Manila, which connected with the French packet at Saigon. 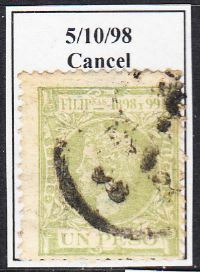 On arrival at the foreign port, the stamps were cancelled with local postmarks and the mail was forwarded accordingly. 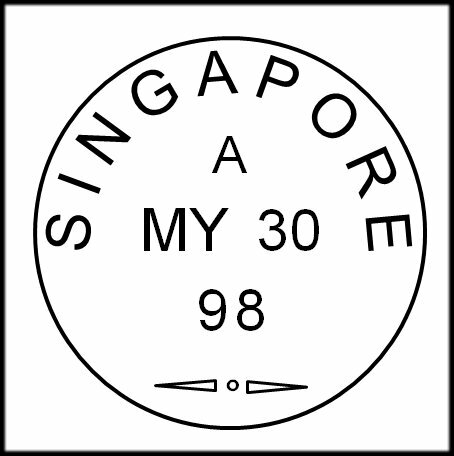 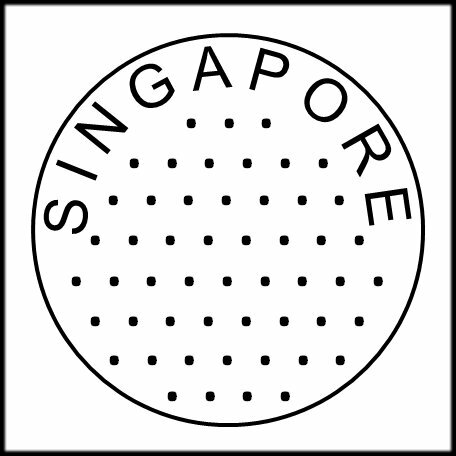 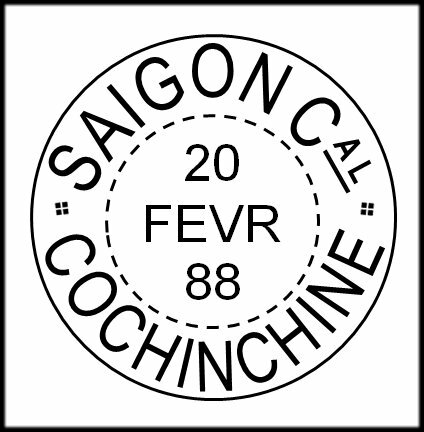 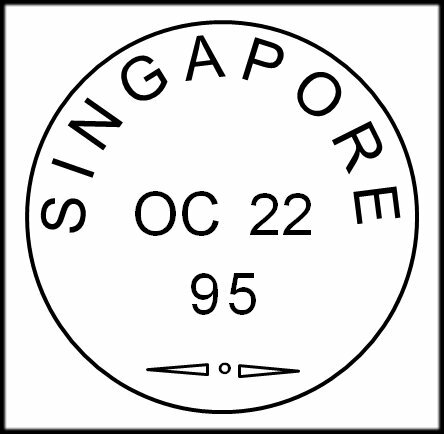 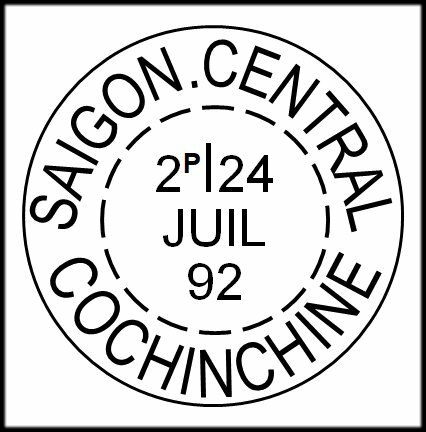 This section only focuses on the known Circular Date Stamps applied in Hong Kong, Singapore and Saigon (Cochinchina).